You gotta love how the Bruce Wayne substitute is wearing a Batman shirt! 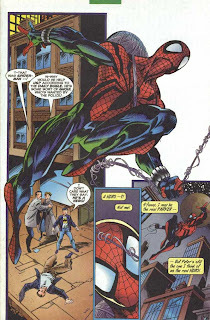 I was reading Spider-Man comics obsessively when this came out. Can't believe I didn't notice this! Hey there, Gorga (one of the writers of the excellent The Long and Shortbox of It!. 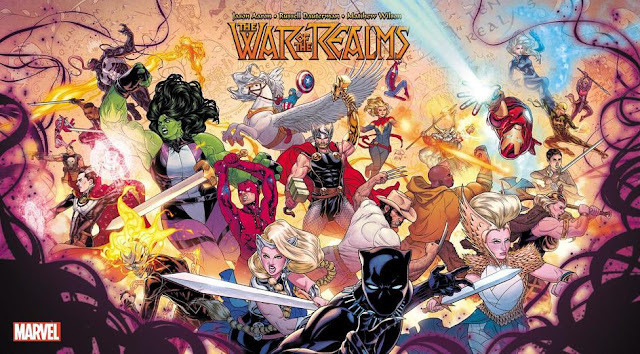 The most telling thing about this is just how ingrained the pearls element is in Batman's origin - to think that Miller just introduced it in DKR! Nice find! This is Ben Reilly? Yep! 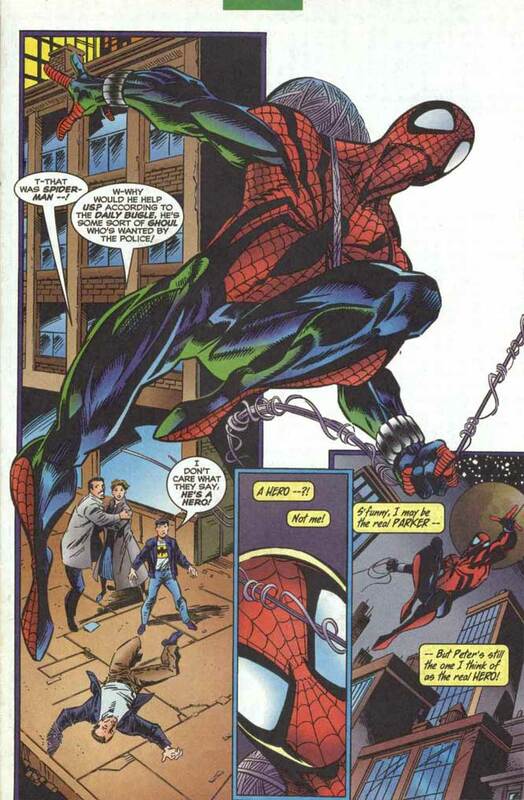 It was at a time when they wanted to bring Peter back as Spider-Man, but someone from marketing told them to extend Ben Reilly for a few more months (likely to coincide Peter's return with Spider-Man #75), so they just had fun with Ben for those months. 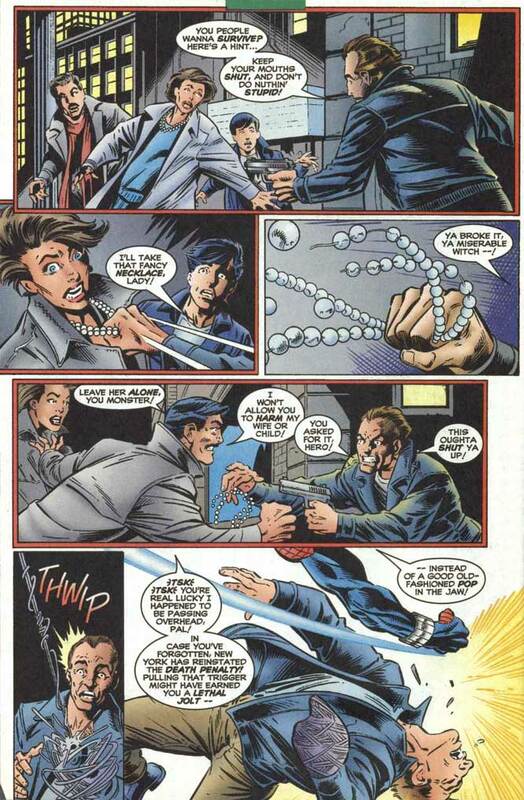 The sad thing is, when not driven by an event or marketing hoo-hah, Ben Reilly was actually a good character. Stories that focused on him were fun and solid; stories that focused on who the real Spider-Man was and "everything you know is wrong" were unreadable.